Paragliding in Nepal | Best Paragliding Spot in the world! Bhutan Tour Package from Nepal | 4 days in Bhutan – BEST SELLER! Nepal Bali 6 days 5 nights Tour | With intl flights ! Visit Kyanjin Gompa via Langtang Valley to catch splendid closeup views of the Langtang ranges including Langtang Lirung (7227m), Yala and Mera peaks. You will enjoy Tamang-Tibetan culture and hospitality in Langtang Valley which is still rebuilding from earthquake ashes,. Continue your journey towards Gosainkunda- abode of Shiva- by crossing over Lauri Binayak Pass (4610m), one of the highest passes in the Himalayas. Much of our initial trail intersects the Langtang National Park, home to such endangered species as Red Panda, Snow Leopard and Lophophorus – Nepal’s national bird. 05.30am: Pick up from your hotel in Kathmandu and drive to Machapokhari to catch the bus to Syabrubenhi with your trekking guide. NOTE: The bus ride will take around 8 hours. Breakfast will be provided en route at 35kilo around 8am. 09.00am: You will pass by Kakani(2066m), a glorious panorama of the snow-capped Ganesh Himal and the Langtang and you can see the Goasainkund mountains. 11.00am: Arrive in Trishuli and you will have your lunch break here. 02.00pm: You will pass by Dhunche(1960m) – capital of Rasuwa district, and is the last town on way to Langtang and continue the bus ride. 03.15pm: Arrive in Syabrubensi. Check in hotel. Free and easy after check in. You can explore the local market in Syabrubensi. This is the starting point of the Langtang trek. NOTE: Dinner in the hotel. Highlights: Walking on the narrow road effected by earthquake. 08.00am: Check out and start the trek to Lama Hotel (Uphill trek) and you will pass by a prayer drum. 08.20am: Arrive in Old Syafru Bensi Bazar and continue the trek to Tiwari(1555m). 08.45am: Arrive in Tiwari and crossed the bridge over Langtang river and continue the trek to Domen(1650m). 09.30am: Arrive in Domen(1650m) and continue the trek to landslide(Pairo) 1810m. 12.00pm: Arrive in Bamboo (1790m) and have your lunch here. 03.20pm: Arrive in upper Rimche(2520m). Continue the trek to Lama Hotel. 03.50pm: Arrive in Changdam(2420m) called Lama Hotel. Rest and relax. Free & easy. Highlights: View of the reconstructing Langtang Valley after the total collapsed by earthquake. 07.00am: Breakfast at the hotel. 08.00am: Check out and start trek to Langtang Village. 09.15am: Arrive in Riverside (2780m) whereby you will have the first glimpse of Langtang Lurung(3430m) on left front, the highest of the Langtang Himal peaks. You will continue the trek to Langtang Village. 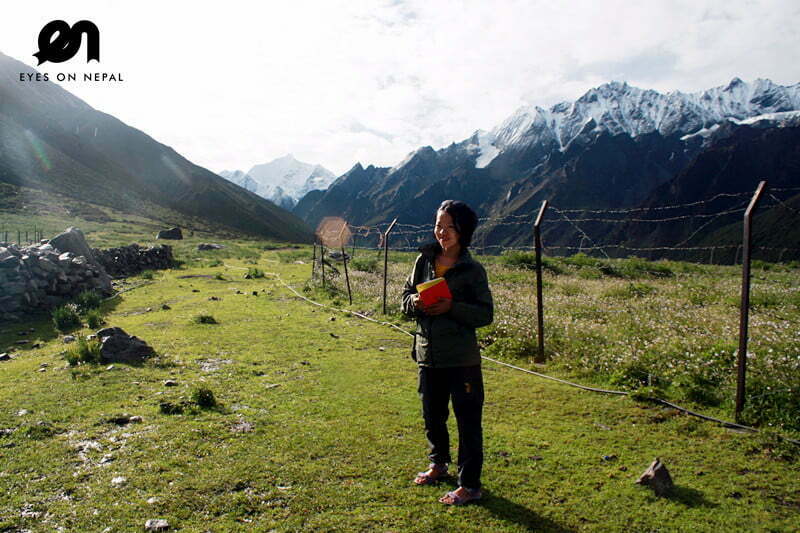 10.00am: Arrive in Thunama(Woodland) 2790m and continue the trek to Langtang village(3430m). 11.15am: You will arrive in Army check post. You will need to show your TIMS and National Park permit here at the check post 1.5km away from Ghora Tabela(2970m). And continue the trek to Langtang Village. 01.40pm: Arrive in Chamki(3230m) and continue the trek. 02.40pm: Arrive in Kangtangsu(3390m)and continue the trek. After 7km, you will see the Langtang Gompa. 04.00pm: Arrive in Langtang village (3430m). Check in. Rest & Relax. Free & easy. Highlights: Beautiful views of Mountain, valley, river, Chortens and lifestyle of local. 08.30am: Breakfast at the hotel. 09.00am: Check out and start trek to Kyanjing(3870m). Today is a pleasant, easy walk with wonderful view all along. 09.30am: Arrive in Singdum(3470m) and continue the trek to Nespali. 01.00pm: Arrive in Kyanjing. Check in. Rest and relax. Free & easy. NOTE: You can do some excersion around this beautiful area. You can see around 15 mountains on very close range. Highlights: Trekking to Kyanzing Ri Peak 4700m. 06.00am Breakfast at the hotel. 06.30am: Start the uphill trek to Kyanzing Ri(Peak) 4700m. 09.00am: Reach the top of Kyanzing Peak. Enjoy the view from the peak. Note: We will stay here for 30 minutes for good view. 11.00am: We arrive in Hotel. Check out from the hotel. We will have tea break at the hotel. 12.30pm: Arrive in Yangbu and continue the trek. 01.00pm: Arrive in Nespali and continue the trek. 01.45pm: Arrive in Singdum and continue the trek to Langtang valley. 02.30pm: Arrive in Langtang and you will have your lunch break here. 03.15pm: Continue the trek to Thangshyap. 03.45pm: Arrive in Kangtangsu and continue the trek. 04.15pm: Arrive in Chamki and continue the trek. 05.00pm: Arrive in Thagshyap and continue the trek. Overnight here. Check in hotel. Rest and relax. Free & easy. NOTE: Dinner in the hotel. Optional tour: If you do not make the trip to Kyanzing Ri peak, you will start trek back to Thagshyap early and you will easily reach lama Hotel. Highlights: Walking on narrow foot trail. 07.00am: Check out and start the trek to Thulo Syabru(2210m). 08.00am: Arrive in Ghora Tabela(2970m) and continue the trek. 08.45am: Arrive in Thunama(Woodland)2790m and continue the trek to Lama Hotel(2430m). 09.30pm: Arrive in Riverside(2780m) and continue the trek to Lama Hotel(2430m). You will have your lunch break in Lama Hotel. 10.15am: You will continue the trek after the Lunch break to Bamboo. 10.45am: Arrive in upper Rimche(2520m) and continue the trek. 12.15pm: Arrive in Bamboo(1790m). You will have your tea break in Bamboo. 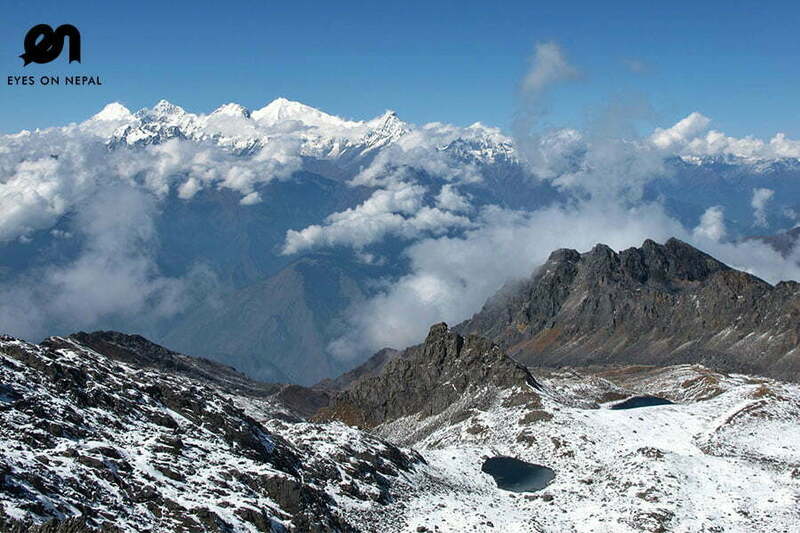 12.30pm: Continue the trek after tea break to Thulo Syabru(2210m). 01.30pm: Arrive in Pairo(Landslide)1810m and continue the trek to Thulo Syabru(2210m). 04.00pm: Arrive in Thulo Syabru(2210m). Check in Hotel. Rest and Relax. Free & easy. Note: Dinner in the hotel. Highlights: View of Ganesh Himal and beautiful Tamang settlement. 01.30pm: Arrive in Chandanbari(3330m). Check in hotel. Lunch at the hotel. You can make small tour around Chandanbari area to observe the local cheese factories. 07.00pm: Dinner at the hotel. 06.30am: Wake up and get ready for breakfast at the dining hall. 12.00am: Arrive in Lauribinayak. Lunch in lauribinayak. 03.00pm: Arrive in Gosainkunda. Check in hotel. Rest and Relax. Note: You can make some small photographic tour around Gosainkunda area for few hours. 08.00am: Start the trek to Ghopte(3440m)Note: You will pass three more lakes. 10.00am: Arrive in lauribina Pass(4610m) and continue the trek to Ghopte(3430m)Note: You will downhill trek to Phedi and continue the up and down hill trek to Ghopte. 02.00pm: Arrive in Ghopte(3430m) and Lunch in Ghotel Hotel. Check in hotel. Rest and Relax. 02.30pm: Lunch at the hotel. 04.30pm: Arrive in Kutumsang(2470m). Check in hotel. Rest and Relax. 12.30pm: Arrive in Chipling(2215m). Lunch in Chipling. 04.15pm: Arrive in Chisopani(2215m). Check in hotel. Rest and Relax. Note: You can visit Ashram of Shivapuri Baba(The great meditator) in Chisapani. Highlights: Back to comfort life. 06.00am: Wake up and get ready for breakfast at the dining hall. 06.30am: Breakfast at the hotel. 10.40am: Continue the trek to Sundarijal(1460m) after tea break. 02.40pm: Arrive in Sundarijal(1460m). Lunch break in Sundarijal. 03.30pm: Catch the bus/Car/Taxi to Kathmandu. 04.30pm: Arrive in Kathmandu. Chick in hotel. Rest and Relax at the hotel. Note: Dinner and accommodation on your own expenses. The price quote is based on 2 people per trip. We offer special price for group consisting more than 2 persons. Accommodations x 11 nights in the mountains. NOTE: Base on twin sharing. Pick up from Kathmandu Bus Park and transfer to your hotel in Kathmandu. 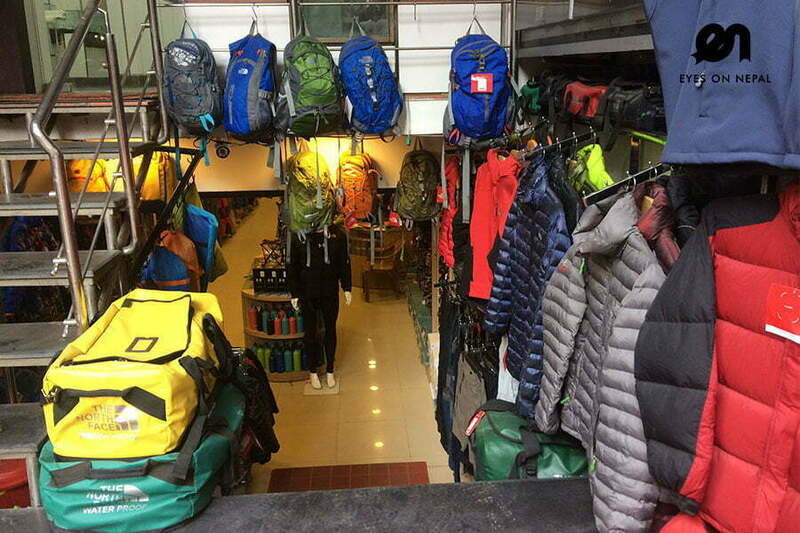 1 trekking guide & 1 porter(maximum 20kg luggage) will be provided during your treks. Salary, accommodations& meals for trekking guide and porter. First aids kids, water purified tab & all necessary in the mountains. Items that mentioned as your own expenses. Time schedules in the itinerary are for reference, changes of time and schedules will be advised by your tour guide depending on the situation on the road during the tours. Customers have to write in email for confirmation. Please note the itineraries are subjects to change. It always depends on the time available and weather conditions. Some of them can be cancelled without prior notice. No refund upon cancellation if it happened due to guests’ fault on dragging the time of visiting certain places or due to bad weather condition. Any change request will be charge accordingly. Questions or Comments about Trip. Once we have received your information, we will reply you with a proposed itinerary and official quotation. If you are satisfied with our itinerary and quotation, send your confirmation through email. We will then issue the Confirmation Order and Invoice to you. Following this, you should make 50% deposit with us via Pay Pal or our bank account. 50% deposit will be paid by your side either via Pay Pal or bank in to our Nepal Company account. The remaining amount can be deposited after arriving in Nepal. We will issue the official payment receipt to you once we receive the payment.